Faith. It is a fruit of the Spirit that is essential to our spiritual progress, and even our salvation. Much is said in the Scriptures about having faith enough to receive whatever we ask of The Lord. And it is correct to say that God rewards the faith of those who diligently seek Him. But there is a deeper level of faith than the one required for receiving an affirmative answer to our requests. A question we all need to consider is this: “Do I have enough faith to get a ‘no’ from God?” Please let me illustrate what I mean. If you are faced with a terminal illness, do you have enough trust and faith in God to continue to follow Him if you are not healed? Do you trust Him enough to die if that is His will? I submit to you that this takes more faith than receiving an instant healing. That kind of faith was shown by the three Hebrew young men who refused to worship the golden statue of the king. Did you catch what they said? They believed that God could protect them, but were determined to follow His commandments even if their deliverance did not come. That is the kind of faith God is looking for — unconditional faith! I think it was there “no matter what” attitude that helped them to be delivered from the fiery furnace without even a hint of smoke on them. You see, faith is not belief without evidence; it is obedience without reservation. In the Gospels, Jesus showed that same kind of faith in the Garden of Gethsemane. Too often today, the lost are told that they need to come to Christ because of all the things He will do to make life better for them. It’s a “me” centered message that is both harmful and unbiblical. Television preachers talk incessantly about how healing or deliverance hinges on how much faith they have. But salvation is not about having “our best life now” or being a success in business. It is about complete and utter surrender to the will of God, no matter where that leads us. That is why we need to be able to put aside what we desire and accept what He desires without reservation. I like keeping things simple and easy to understand. There is a virtue in making sure we make things understandable for people, especially when it comes to salvation. We are not Gnostics with some special knowledge that is only for us. We have a life giving message that our Lord commissioned us to proclaim to everyone on earth. We don’t have time for a 1000 page dissertation on what it takes to become a Christian. So let’s break it down to three essential questions and answers we can give to someone who would ask us about what is required to be a Christian. 1. How much am I required to know? You have to know something, but you don’t have to know everything. The Apostle Paul summarized it well in his letter to the church at Corinth. 2. What must I do about what I know? You must participate in that death, burial, and resurrection, too. It’s called baptism. It sums up what you believe and shows that you have turned from your old way of life (called repentance). Again, Paul illustrates it for us, this time in Romans 6. In effect, we are participating in what we know. 3. What happens after that? We gather with other believers and remember that death, burial, and resurrection and encourage one another as we strive to follow Jesus. This walk of faith is not designed to be done alone. We gather to remember what Christ has done and to be equipped to share that message with others. I realize this is very basic, but we must all begin somewhere. If we focus our evangelistic message on the death, burial and resurrection of Jesus, we also make sure that the message is not about us — it’s about Jesus. We are not commanded to convert people to us; we are commanded to make disciples of Jesus. There are our marching orders. He tells us to make disciples and also tells us how to do it. Let us go forth in the simplicity of devotion to Christ with the truth of Jesus’ death burial and resurrection as our message. Amen. I am terminal, and so are you. No, I don’t have some dreaded disease. Let me explain what I mean. A few years ago, country singer Tim McGraw wrote a hit song that was inspired by his experience with his father who died from brain cancer. It was called “Live Like You Were Dying” and the message was one about how differently people live if they know the have a terminal disease. It certainly does provoke some deep thinking. What would we do differently? How would we treat others? What things would not be left unsaid? Well I’ve got news for you. According to the Bible I’m terminal and so are you! Well there you have it. Every one of us has an appointment with death that is certain to happen. If that’s not terminal, then what is? How long do you have? That is something none of us knows. It may be tomorrow, and it may be 90 years from now. But with this in mind, how should we live? First off, make sure of your relationship with God. 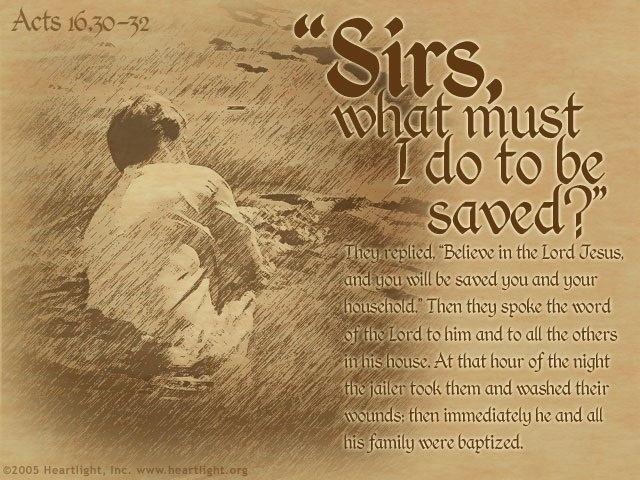 Look in the bible and find out what you must do to be saved. Don’t take someone else’s word for it, either. A dying man or woman needs to get the facts for themselves by doing their own research. You cannot afford to be wrong! Regarding salvation, you should also not delay telling someone about Jesus so that they can have faith in Him, too! Do not put it off until tomorrow. It could be your last chance to tell them, or their last chance to hear it. You are both terminal, so you can’t be sure. People’s eternal destiny hangs in the balance, so don’t withhold the Gospel because you don’t think they will receive it. Jesus could read men’s heart, not you. Plant the seed or water it, and let God provide the harvest! Another thing to do is to walk in love and forgiveness. I have seen many people who made it their first order of business upon learning they were terminally ill, to make sure they had forgiven everyone, and asked for forgiveness where needed. Impending death has a way of clarifying what is important in life. I have also seen some weep with regret over things left unsaid. As our first verse said, we are all going to die, so make sure your relationships with others are right, with no thanks, or apologies left unsaid. Lastly (although I am sure there could be more) do great things for God. Consider this for a moment. What would you do in service and love for God if you knew you would not fail? Would you learn a language and reach out to those from other cultures here or abroad with the Good News of Jesus? How far out of your comfort zone would you be willing to go to be a living epistle and show someone the love of God? Think about it! Jesus said He would be with us always, so you have nothing to fear and everything to gain. Time is running out. People are dying every day that don’t know Jesus. Do something! 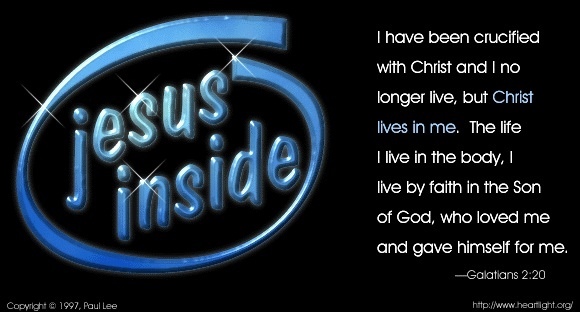 Live the adventure in Christ, and live like you were dying! No, that is what I meant to say. God is calling us to be in Christ, and to get there we have to be dead AND alive. What do I mean by that statement? Glad you asked. But what I would like to do is let the scriptures speak for themselves, with just a paragraph title. We must be dead to sin and alive to righteousness. We must be dead to our will and alive to do His will. We must die to our old life and be born again to a new life. It’s a question that leaps to the forefront of our thinking when we are confronted with a situation of pain and anguish. Especially when that situation involves the loss of a child. It’s difficult enough to bury your parents, but in the back of our minds we always knew we would someday. But it is totally unnatural to bury a child. There is a level of pain involved that never completely leaves us during this lifetime. We learn to cope and work through the pain, but the empty spot in our souls remains. There is no pain as acutely intense as that what a parent feels at the loss of their child. But our Heavenly Father knows how we feel at such a time, because he watched as his Son was illegally tried, falsely accused, and brutally murdered. But we must never, not even for a little bit, think that the presence of pain is the absence of God. Jesus went to Bethany to comfort Martha and Mary after the death of their brother Lazarus. He came and wept with them, even though he knew he was going to resurrect Lazarus! When ministering to someone who has lost a loved one, especially a child, there is nothing you can do or say that will make it all better. The Holy Spirit is the Comforter, and will accomplish His mission. But sometimes it is very comforting to have someone who is there to weep with you, like Paul said to do. That is even more meaningful if you have been through a similar loss in your past. If you have suffered a loss in the past, don’t keep the comfort that was given to you all to yourself. Pass it on to another one who is suffering. Make sure they know that they are not alone. Just “be there” for them and take care of details so they can focus on the grieving process. The sun will shine again, and life will go on. Know that you are not alone for you have brothers and sisters in Christ, and most of all, you are under the care of the Comforter. And when you feel like you have hit bottom, you are resting upon God! There are a multitude of reasons to shed tears. I have wept hot tears of sorrow as I held my baby girl as her life slowly ebbed away in the newborn intensive care unit. I have seen many weep at the loss of a relationship or a treasured family pet. On the other hand, it is genuinely a pleasure to laugh so hard that you cry! And who would fault someone for getting misty-eyed at a tender and moving scene like a wedding or the birth of a baby? It is normal for us to weep, and it is part of our human nature. Even Jesus wept at the tomb of his friend Lazarus, even though He was about to raise him from the dead! (John 11:35) We are commanded to “weep with those who weep” and many times such weeping is more appreciated than words we could think to offer. But tears are also a valuable addition to our individual ministry. As we pray for those with whom we share the Gospel, and weep over their lost condition, the Lord seems to use those tears to make the seeds of our prayers grow. In the Sermon on the Mount in Matthew 5, Jesus said, “Blessed are those who mourn, for they will be comforted.” Matthew 5:4 NIV) Could it be that this comfort will be obtained as that for which we have wept before the Lord comes to fruition? “For his anger is but for a moment, and his favor is for a lifetime. 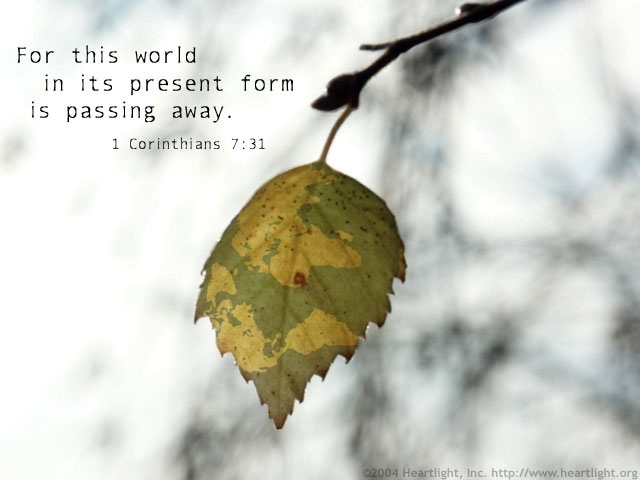 Furthermore, this godly sorrow gets God’s attention. It is often referred to in the Bible as “a broken and contrite heart.” Let’s take a look at Isaiah 66. Jehovah is speaking and lets His people know that He is in need of nothing, and there is no building they could erect that He would find impressive. 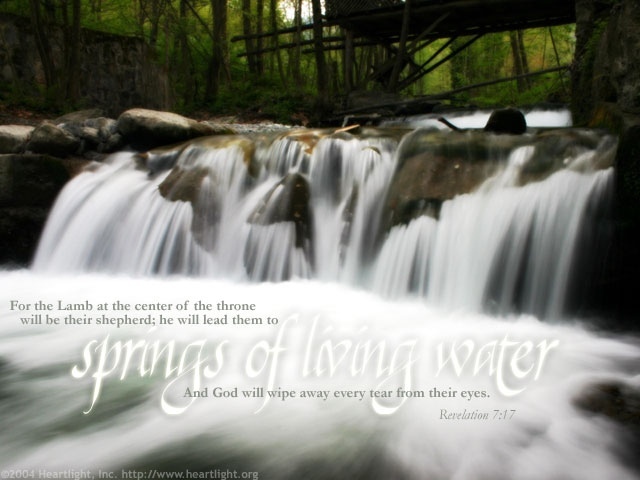 But look in verse 2 and see what DOES cause God to turn and look. what is the house that you would build for me, and what is the place of my rest? Wow! Do you want to get God’s attention and have Him look with favor on you? Be humble, contrite in heart, and be in awe of His Word such that you tremble at the thought of the value of it! But tears and crying will not always be with us. There will surely come a day when death and tears and crying will be no more. I mentioned briefly the passing of my infant daughter. She was only with us for eight hours, but I know that she is not gone away, but rather she has gone ahead. 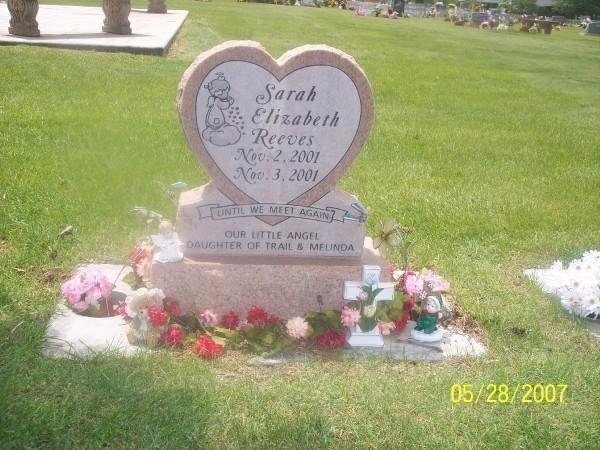 When she was buried we put the reference to this verse on her gravestone. Speaking of eternity together with the Lord can be an abstract theological discussion. But all of that changes when you face reality and no safety net, and faith in the Everlasting arms is all you’ve got to stand on. 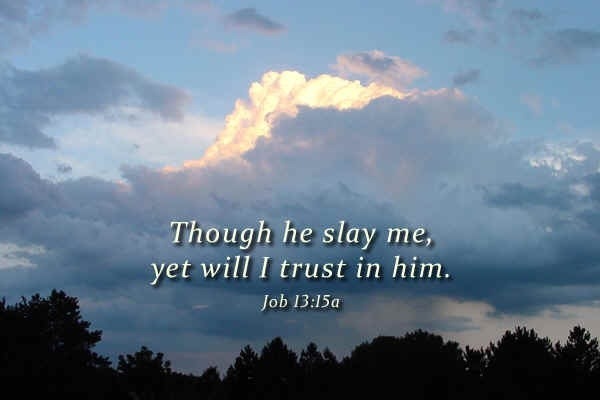 But rest assured, the God who spoke the universe into existence and sent His only begotten Son to redeem us cannot lie, and what he has promised will surely come to pass. Weeping may last the night, but there will most definitely be joy in that eternal morning!